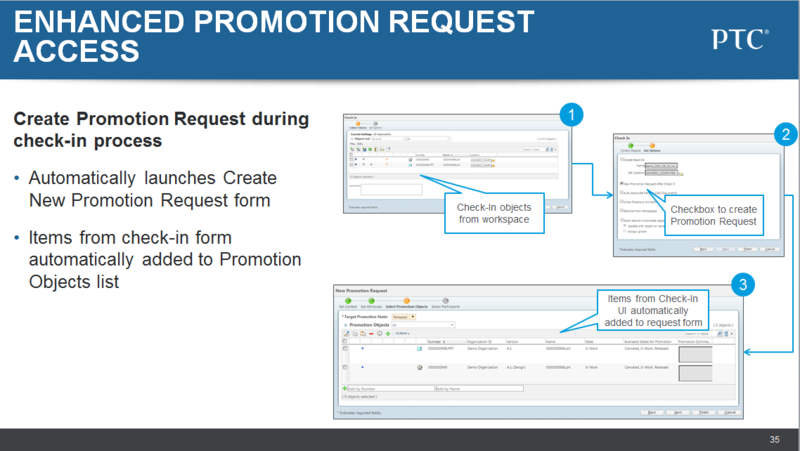 When check in CAD data from workspace, it shall be possible to create a promotion request on-the-fly. This was possible in Pro/Intralink 3.x, and has been requested by many customers. It shall also be possible to checkin the data as resulting items to a ECN. We have future plans to allow you to related a new or modified item in your workspace and identify a CN/CT that it should be related to. Thanks Jeff. Many customers will be happy.